If travel and romance are among your interests, you might consider combining the two with a visit to Verona. Italy is known for its vibrant cities of Renaissance architecture, arts and culture, and the city of Verona tops as one of the most romantic cities. Famous as the setting for Shakespeare’s “Romeo and Juliet,” Verona also offers a more relaxed and less crowded atmosphere than other major Italian cities. Check out the exciting attractions that await you in Verona. One of Verona’s most visited sites is Juliet’s House and Balcony, located nearby the Piazza delle Erbe. Although this 13th century house shares no real connection to Shakespeare’s fictional character, it is nevertheless a popular site among tourists and romantics. You can tour the house with its antique furnishings and Renaissance frescoes as well as the famous balcony and lovely courtyard with its bronze sculpture of Juliet. If you like, you can also leave a love note here to Juliet as many visitors do. 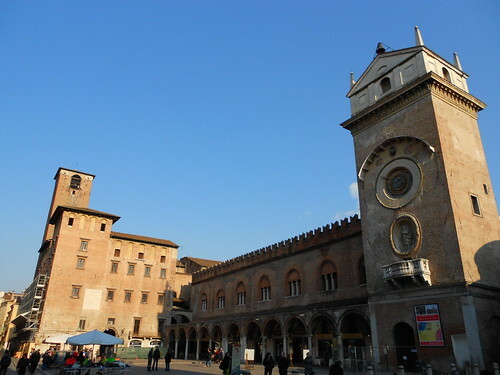 As the heart of Verona, the Piazza delle Erbe is a good place to begin your experience of the city. This rectangular plaza features many medieval buildings and Roman statues in addition to cafes and market stalls where you can hunt for a bargain on souvenirs. From the piazza, you can walk through the Arco della Costa, a notable arch with a whale rib suspending from it. Nearby is a smaller square, the Piazza dei Signori, which once served as a government seat for the city. Here, you can visit historic buildings like the Palazzo del Capitanio and the Loggia del Consiglio, a 15th century town hall. Built in 1463, the Lamberti Tower is medieval tower popular for its beautiful, panoramic views of the city when you climb or take the elevator to the top. Constructed in the 1st century, this magnificent arena served as a venue where ancient Romans once watched gladiator events. Built into a hillside and holding up to 25,000 spectators, this amphitheater today hosts various outdoor theatrical and opera performances. With the Roman Arena in the distance, the huge Piazza Bra is a charming place to sit and relax in the outdoor cafes with a cup of coffee or glass of wine while people watching or admiring the lovely garden and fountains. You will also find hotel choices near this public square. This impressive castle is a medieval complex that once served as a fortress in the 14th century. When you tour the Castelvecchio, you can walk along its ancient walls, beautiful courtyard and see rooms displaying Renaissance paintings and bronzes as well as old weapons, armor, coins and archaeological artifacts. Verona would not be a classic Italian city without its share of arts and culture. You will find several museums here like the Modern Art Gallery Achille Forti. Situated in the Palazzo Forti, this quaint venue showcases many contemporary art works. At the Natural History Museum, you can view a number of fossils and artifacts. The Museum of Technology offers a wonderful collection of cameras, musical instruments and typewriters as well as motorbikes and cars. One of the city’s oldest performance venues, the Filarmonic Theater presents many music concerts. If you want to know when to visit Verona, the city experiences hot summers and chilly winters. Spring and fall present the most pleasant times. Are you excited about experiencing the romance of Verona? You can begin your trip today by checking out the great deals that are available online.